Ray Kelly has just sent this picture of Rick, our club mate from Pittsburg taking part in another race. 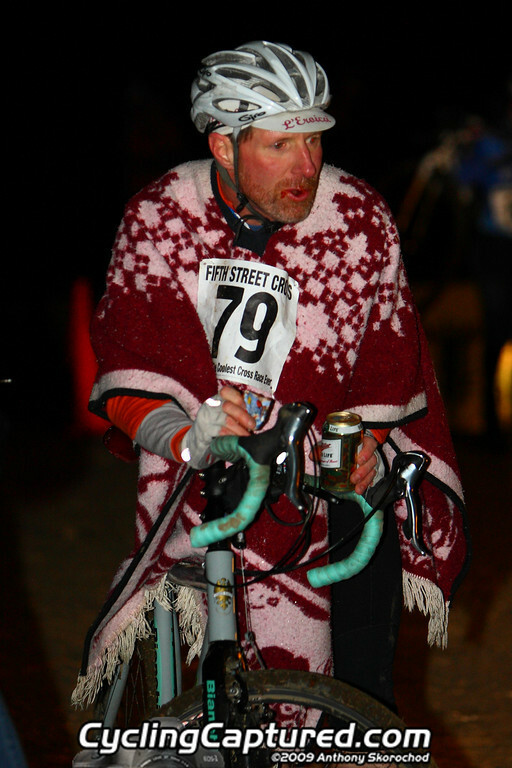 In a homage to Clint Eastwood he’s sporting the latest in cycling ponchos/carpets. We may also copy the nutrition system attached to his handlebars on our next trip to Belgium.